Rebecca is not the only consumer confused by the task of purchasing a new mattress. Mattresses are now made with new technology and new materials: memory foam, latex, and gel are among the most popular. But, will new technology always guarantee you a good night’s sleep? Are new materials appropriate for all beds? How do you know what is right for you? The first sofa bed was a simple metal frame with a thin cotton mattress. Patented in l899, it was used primarily by the military and was, no doubt, a vast improvement to sleeping on the ground. Thirty years later a designer in New York built the first sleeper sofa. Having an extra bed stashed inside an attractive couch was both aesthetically appealing and practical to both high-end consumers and the working class. Sofa bed frames have not undergone major changes, but sofa bed mattresses have. The lumpy materials of yesteryear have been replaced with comfortable, durable, and resilient foam core that will last for years, regardless of how many times it is folded into the sofa bed. Modern technology has also improved life on the road, whether you are a boater or driving one of the nine million RVs in America. The higher quality options available today for RV and marine mattresses are made out of memory foam rather than springs, but this is not the same type of memory foam that was used only a few years ago. There are some time-proven techniques that have stood the test of time, but the type of foam that is being used is far superior. With this in mind, you may notice a difference in the comfort level and durability of mattresses as you shop for them. With a new RV mattress, you will sleep as comfortably as if you were in your own bed. Regardless of the shape, a quality RV mattress can be customized so that it fits into the space perfectly. There are several types of mattresses available to choose from. Since the original memory foam was introduced in l992, manufacturers have been competing to improve on it, and have invented other materials. However, due to mass production and cost saving necessities, not all of the changes made by all manufacturers have been for the better, and not all mattresses are appropriate for all beds. 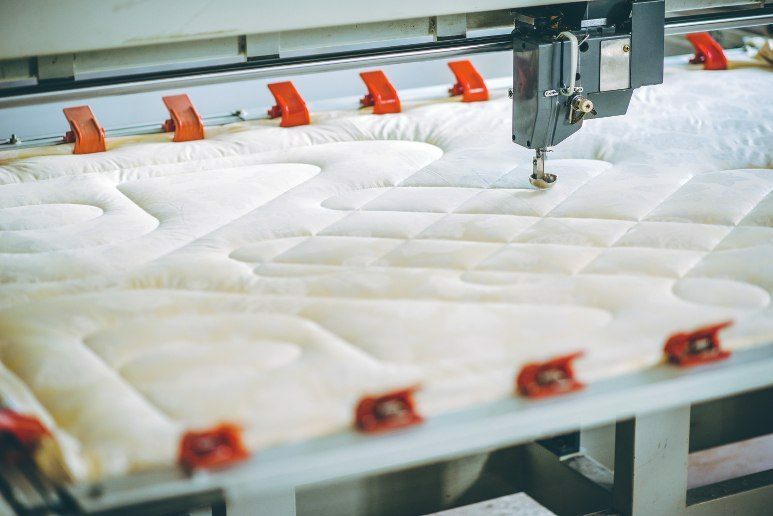 For example, although we embrace new technology when it is suitable, our sixty years of experience has taught us that memory foam is not the best material for sofa bed mattresses (continue reading to find out why). However, in some cases, the quality of certain mattresses has not improved over the years due to large brands that want to manufacture as many mattresses as possible. Due to mass production and cost-saving necessities, it has made the mattresses less durable and uncomfortable to use. Fortunately, we’ve continued to make our mattresses with the same time-proven techniques for over 60 years and have also added new materials with the products. We now use memory foam in RV and marine mattresses to ensure that they maintain their high level of comfort even when they’re not in use every day. We typically do not recommend using memory foam in sofa bed mattresses, memory foam is simply used to create a plush texture that contours to the body but is not able to offer any support. When to replace your mattress can be a big decision, and there are, of course, a number of factors to take into consideration besides the type of materials constructing the mattress. In addition to the obvious consideration of cost, there is size, thickness, where the mattress will go, what it will be fitting into, and what materials you prefer it to be made from. Always measure length, width, and height carefully of the mechanism your mattress will be fitting into before purchasing a mattress for your sofa bed or RV. If the mattress is made in the United States, you can be assured of the best chance of quality control and custom-sizing. You can also find one that is specific to your back’s needs by talking to your doctor. To learn more about the right type of mattress to purchase for sofas, you can find more info at https://www.replacement-mattress.com/sofa-bed-mattress-buying-guide. If you need additional information we will answer your questions and personally guide you through the process assuring you a healthy, restful night’s sleep. This entry was posted in About Mattresses. Bookmark the permalink.